Editor’s Note: We updated this article for 2019. This is our fourth time ranking the cheapest places to live in Arizona. When we think of the future, some key things probably come to mind: good health, a nice family, and a bit more money. Millennials are used to living in the broke zone– after all, how else could we get through college with those massive loans? But after school, you will start your career and you begin to realize that you probably shouldn’t still be eating Ramen out of Tupperware when you get home at night. So how do you make that transition from being completely broke with mountains upon mountains of school debt to eating something that costs more than a quarter per pack? How do you save money when you start out in your career? Easy: live in a super cheap place. Lower your cost of living and you will find you have more than a few pennies to your name at the end of the month. So what states are cheap and which cities will make your salary reach farther than the dollar store? When you live in one of the desert states, you will probably find that everything is dry, but hopefully, your bank is not. Arizona is a state full of amazing sights (Alamo anyone?) and can be expensive at times; however, there are plenty of cities in Arizona that won’t dry up your account like the Arizona sun dries your clothes. So where are the cheapest places in Arizona? What city will allow you to ditch the Ramen forever? After cranking the numbers for the 57 largest cities in Arizona to find the cheapest city in Arizona for 2019 we came up with a clear winner: Holbrook. 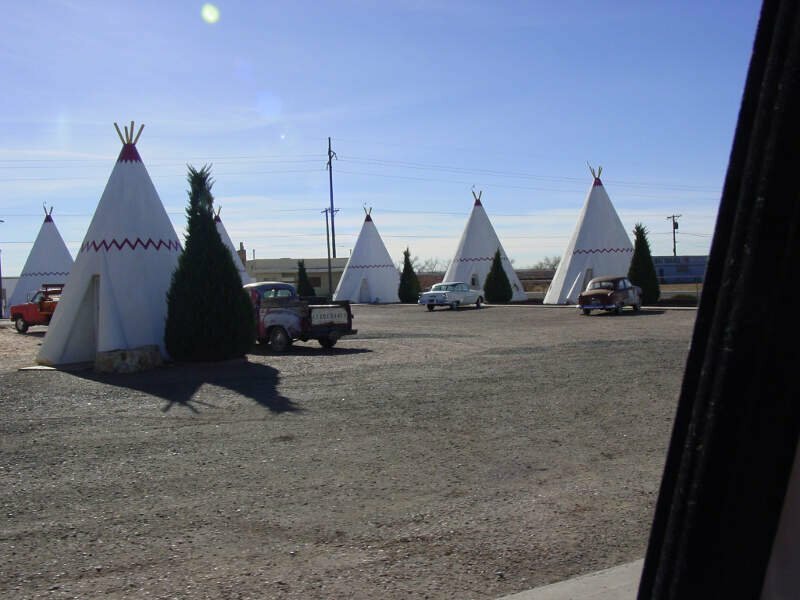 This cheap city is packed with Native American culture and history and is near the Petrified Forest National Park. Yes, you read that right–a national park filled with petrified wood. If very old mummified wood isn’t your kind of fun afternoon out, check out Snowflake, Arizona. If you think you will get some snowy winters here, think again. However, Snowflake does have some alleged alien activity. 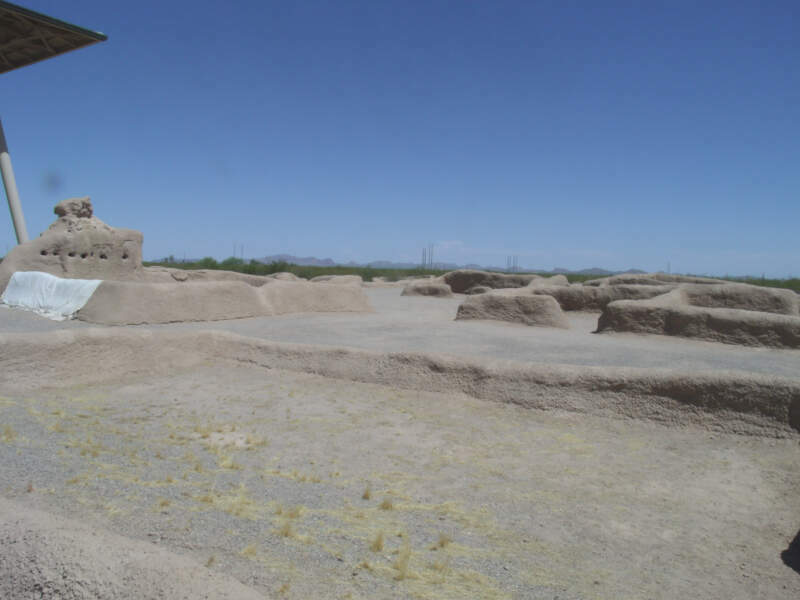 If mummified wood and aliens don’t sound like amazing pastimes to you, just remember the best part about these Arizona cities: they are dirt cheap. Interested in learning more quirks about these top 10 cheapest cities in Arizona? Read on to learn more about our methodology and these bank-savers. You don’t have to stay at a Holiday Inn to know what a good deal looks like. The good people of our number one most affordable city in Arizona for 2019, Holbrook, know that it’s not rocket science, it’s just common sense. Holbrook has been The Grand Canyon State’s most affordable city two years in a row. Located in the northeast corner of Arizona, agriculture, tourism, and retail have been keeping this city booming. The median income in Holbrook comes in at $44,348 and the median home value is $83,700 for 2019. We can all agree that Winslow, Arizona is “such a fine sight to see,” but did you know that it’s also extremely affordable? So much, that It is our second most affordable city in Arizona for 2019. Once a railroad community, Winslow’s residents now find themselves working in education, transportation, and public service to offset their cost of living. We know why you scored an 8/10 on our snackability scale for affordability, Winslow. It shouldn’t be difficult to meet your cost of living head on with the median income hanging close to $37,000. So do yourself and your wallet a favor, and get-a-movin’ to this affordable Navajo County city. 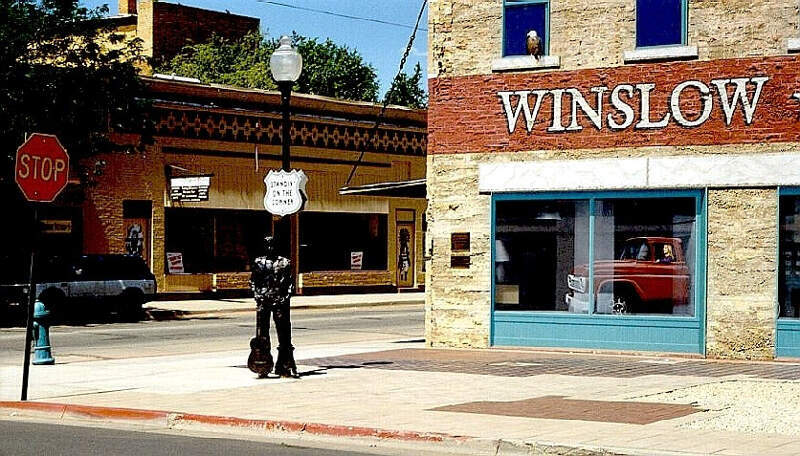 The median income in Winslow comes in at $36,647 and the median home value is $87,800 for 2019. Where the 10 meets the 8 in Southern Arizona, is our third most affordable city in The Copper State: Eloy. This little ray of Arizona sunshine is 4th when it comes to home price to income ratio. They are, however, only 29th when it comes to income to rent ratio. We’re not surprised it’s so affordable, but we’re pretty sure they want you to buy a home and stay awhile. 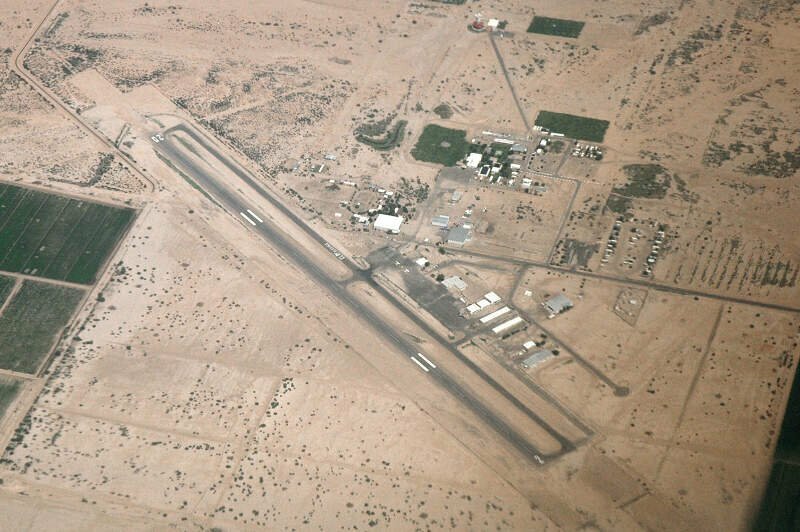 And if you’re the daredevil type, skydiving operations in Eloy employ the second largest number of residents. So, if not your hustle, maybe your side hustle? Either way, good luck! The median income in Eloy comes in at $34,040 and the median home value is $80,600 for 2019. 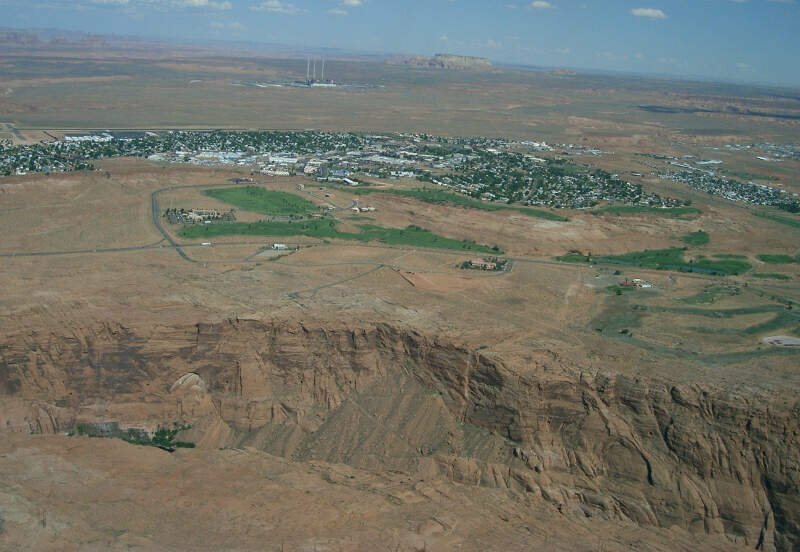 Page, Arizona’s “Center of Canyon Country,” is our fourth most affordable city in the The Valentine State for 2019. This city in Coconino County is the sixth most affordable city in terms of home to income ratio and tenth cheapest for rent to income ratio. Up two spots from last year, we’re pretty sure the residents in Page know a good deal. More importantly, those numbers scream come and check us out, rent or buy; either way, your going to love it here. But who wouldn’t want to buy a home where Walmart, tourism, and Glen Canyon National Recreation Area are keeping the median income around $61,000? The median income in Page comes in at $60,135 and the median home value is $147,300 for 2019. With the economy doing so well, people are moving now more than ever. Might we suggest Arizona’s fifth most affordable city for 2019: Florence? 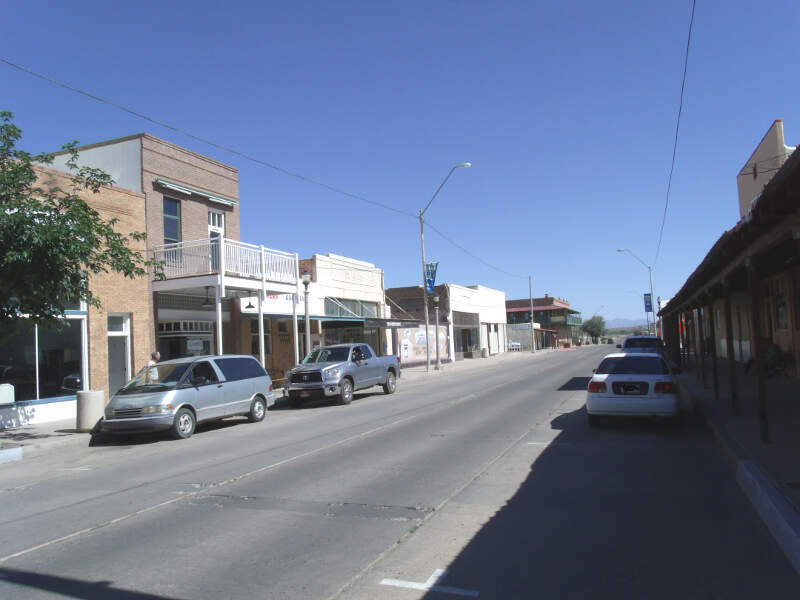 This city in Pinal County, scored an 8/10 on our snackability scale for affordability and a 9/10 for safety. This can only mean that just because a place is affordable, does not mean the trade off is high crime. According to our data, Florence should be Arizona’s poster city for affordability, housing, and safety. 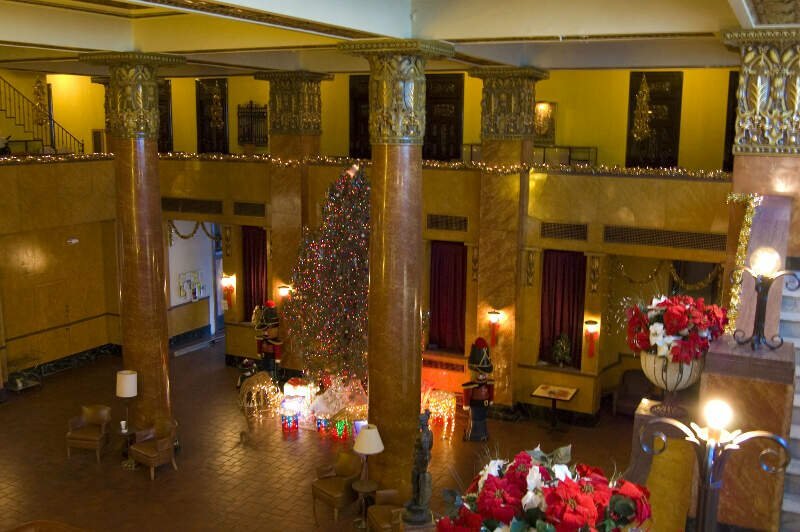 And if you’re looking for an Arizona city that boasts great staycations, Florence is it. This city has close to ten parks and Phoenix and Tucson in its backyard. The median income in Florence comes in at $47,188 and the median home value is $127,900 for 2019. And you know what else C-town’s residents know? Apparently a good deal when they see it, because they are the second most affordable city for home price to income ratio. The median income in Coolidge comes in at $40,718 and the median home value is $88,200 for 2019. You don’t have to couch surf to be able to live in our seventh most affordable city in Arizona: Globe. 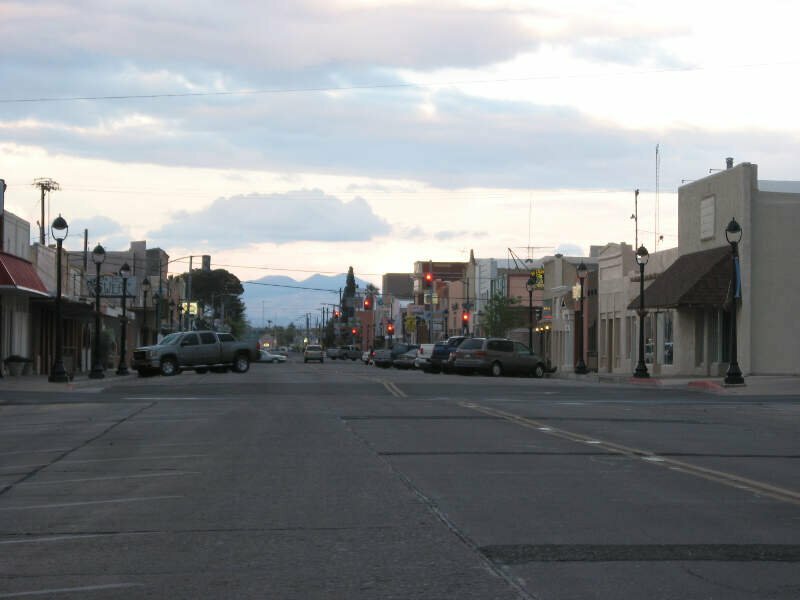 This city in Gila County is not only one of the most affordable on our list, but they scored a 9/10 for diversity and a 10/10 for commute times on our snackability scale. This Tonto National Forest-burb knows how to make the dolla’ holla’ (AKA $45,000/year median household income) with jobs in mining, tourism, and retail. So if you are looking for an affordable Arizona city with small town charm and big city hospitality, hurry on over to Globe. The median income in Globe comes in at $44,821 and the median home value is $116,600 for 2019. At the base of the San Carlos Reservation, on the Arizona/ New Mexico border, is our eighth most affordable Arizona city for 2019: Safford. This Southern Arizona border town is home to the greatest percentage of young folks (25 to 44) concentrated into one city on our list. And if we’ve learned anything about Millenials, they know a good deal. So what’s drawing the ‘youngins’? Probably copper and gold. The largest employers in Safford are in the mining industry and education. 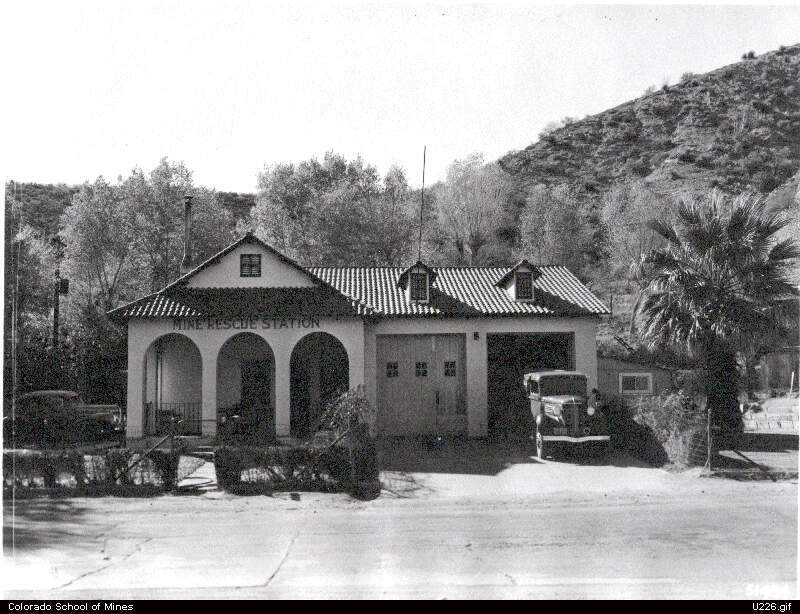 Safford is home to the largest copper and gold mining facility in the country. This might explain why Safford has one of the highest median household incomes on our list: $48,795/year. The median income in Safford comes in at $48,795 and the median home value is $136,600 for 2019. For a city to be truly hip, it needs to be affordable. So it goes for our ninth most affordable city in Arizona for 2019: Douglas. 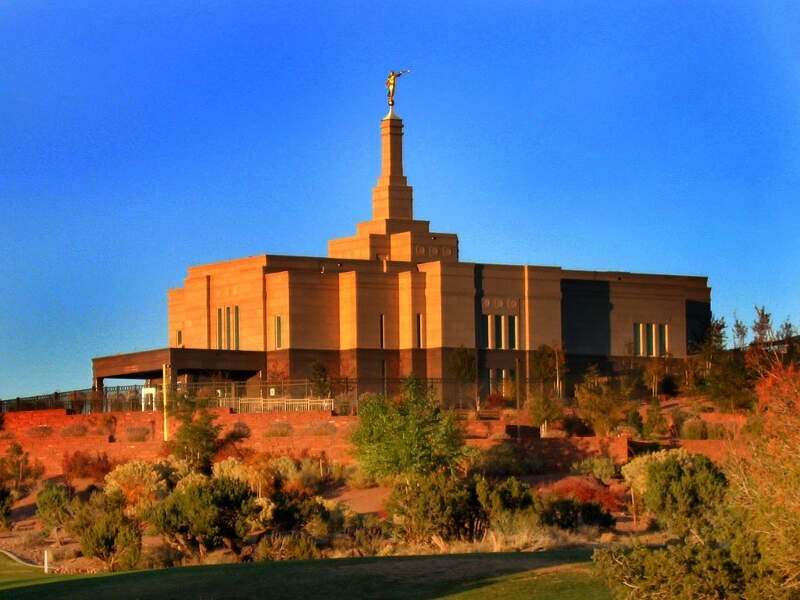 Located on the Arizona/Mexico border, this city scored a 6/10 for affordability and an 8.5/10 for diversity. We think that makes Douglas pretty hip. When Douglas residents aren’t busy preparing for their annual cool, super hip, Cochise County Fair, they can be found earning the dream with jobs in public administration and education. Kudos to Douglas for keeping their townies employed, their economy strong, and their city super hip! The median income in Douglas comes in at $30,986 and the median home value is $88,200 for 2019. No this city does not produce snow. Snowflake was named for the early pioneer, Erastus Snow. Good thing because we’re not sure how snow could keep Snowflake’s household median income at $49,000/year. Do not fret, the job market is strong in Snowflake and the rental market affordable. Snowflake ranked second on our list for income to rent ratio and their economy is supported by jobs in agribusiness, education, and government. The median income in Snowflake comes in at $49,813 and the median home value is $154,100 for 2019. 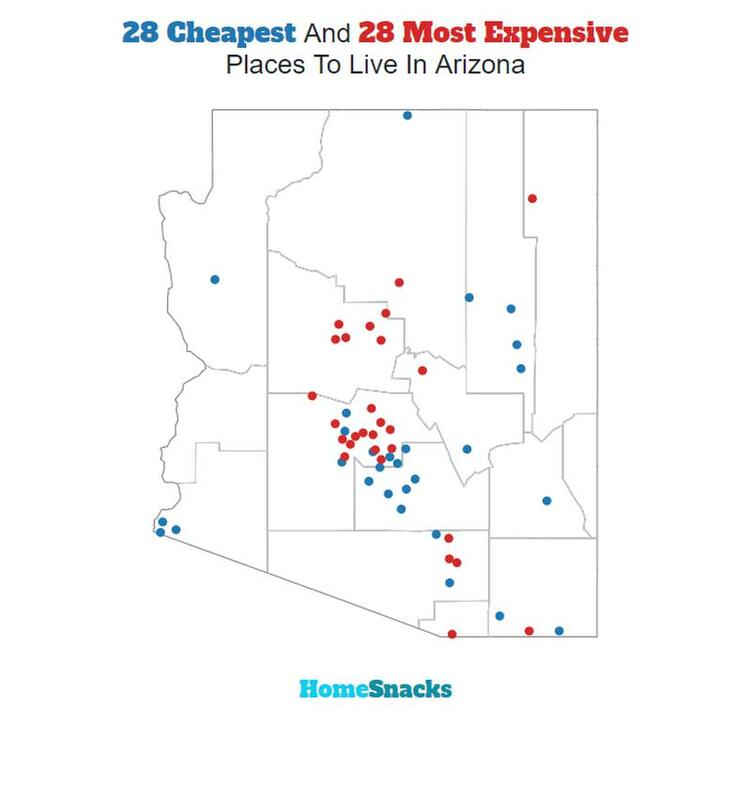 You can then compare these metrics in each of the places in Arizona to figure out which is the least expensive. So we used that cost of living index in order to rank all of the 57 places in Arizona that have more than 5,000 people. The place with the lowest cost of living in Arizona according to the data is Holbrook. If you’re looking at the cost of living numbers in Arizona, this is an accurate list of the most affordable places to live in arizona for 2019. Where Are The Most Affordable Places To Live In Arizona?